Bitumen is a sticky, black, and highly viscous liquid or semi-solid form of petroleum. It may be found in natural deposits or may be a refined product, and is classed as a pitch. The primary use (70%) of bitumen is in road construction, where it is used as the glue or binder mixed with aggregate particles to create asphalt concrete. Its other main uses are for bituminous waterproofing products, including production of roofing felt and for sealing flat roofs. Bitumen Penetration Grade 50/70 is a standard penetration grade Bitumen usually used as a Paving Grade Bitumen suitable for road construction and for the production of asphalt pavements with superior properties. This grade of Bitumen is mainly used in the manufacture of hot mix asphalt for bases and wearing courses. Penetration Grade Bitumensupplied by RABIT (RAHA BITUMEN) Co is petroleum grade bitumen, manufactured from fractional / vacuum distillation of crude oil. The Bitumen supplied by RABIT Co is produced from the vacuum residue (short residue) feedstock. Penetration Grade bitumens are specified by the penetration and softening point test. The designation is by penetration range only. The penetration grade bitumens have a thermoplastic property which causes the material to soften at high temperatures and to harden at lower temperatures. This unique temperature/ viscosity relationship is important when determining the performance parameters such as the adhesion, rheology, durability and application temperatures of bitumen. Penetration Grade Bitumen is a standard bitumen usually used as a Paving Grade Bitumen essential for road construction and for the production of asphalt pavements with superior properties, and it’s very important once it bounds the aggregates and creates a unique cohesion and stability to the bituminous mix. Bitumen penetration grade 60/70 means the penetration value is in the range 60 to 70 at standard test conditions which commonly used as a Paving Grade. Bitumen is applicable for the production of hot mix asphalt for bases and pavements and for road construction. Penetration Grade Bitumen supplied by RABIT (RAHA BITUMEN) Co. This bitumen is produced through aeration on vacuum bottom (the raw material used for making bitumen left in vacuum distillation column in oil refineries) in bitumen production units. Its penetration grade ( the measure of bitumen hardness) is between 60 to 70. Bitumen is specified by the penetration and softening point test. Designing is by penetration range only. The penetration grade bitumen has a thermoplastic property which causes the material to soften at high temperatures and to harden at lower temperatures. This unique temperature-viscosity relationship is important when determining the performance parameters such as the adhesion, rheology, durability and application temperatures of bitumen. Bitumen Penetration Grade 80/100 is a standard penetration grade Bitumen usually used as a Paving Grade Bitumen suitable for road construction and for the production of asphalt pavements with superior properties. This grade of Bitumen is mainly used in the manufacture of hot mix asphalt for bases and wearing courses. Penetration Grade Bitumen supplied by RABIT (RAHA BITUMEN) Co. is petroleum grade bitumen, manufactured from fractional / vacuum distillation of crude oil. 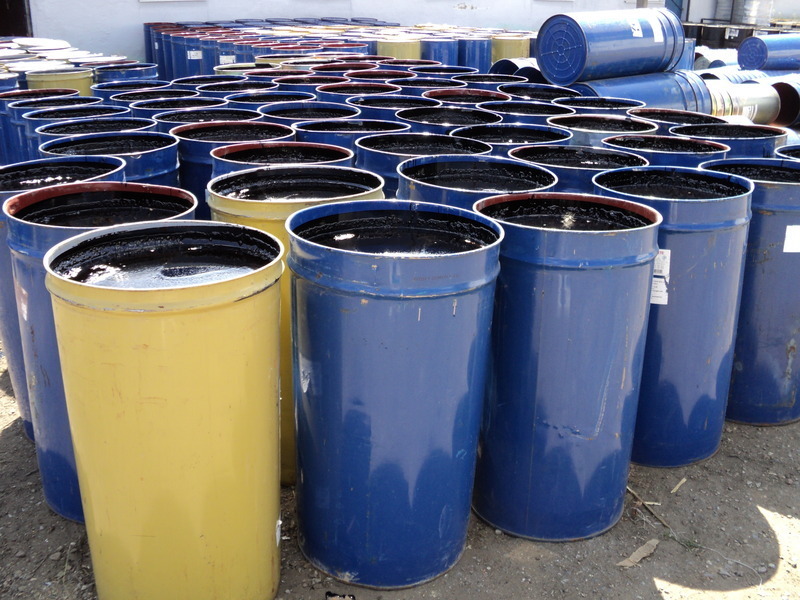 The Bitumen supplied by RABIT Trading Co. is produced from the vacuum residue (short residue) feedstock. Penetration Grade bitumens are specified by the penetration and softening point test. The designation is by penetration range only. The penetration grade bitumens have a thermoplastic property which causes the material to soften at high temperatures and to harden at lower temperatures. This unique temperature/ viscosity relationship is important when determining the performance parameters such as the adhesion, rheology, durability and application temperatures of bitumen.